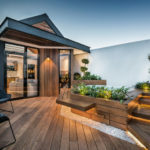 Turning the rooftop of your home or apartment into an outdoor sanctuary is a great way to make use of space that would otherwise be wasted and create a special place that takes advantage of the views or weather in the area in which you live. 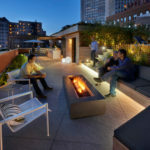 To inspire your own rooftop transformation, here are 10 examples of rooftop decks that are always ready for outdoor entertaining. 1. The wood rooftop deck located off the master bedroom in this modern house, has a lounge area surrounding a standalone fireplace, while plants that soften the hard edge where the deck meets the wall. hu mn lab,+inc designed this modern house in Los Angeles, California. Photography by DNA photography. 2. This rooftop deck has has everything for perfecting outdoor entertaining, an outdoor kitchen and dining area, plenty of plants, a lounge area surrounding a fireplace, a built-in hammock, various levels of seating and hidden lighting. 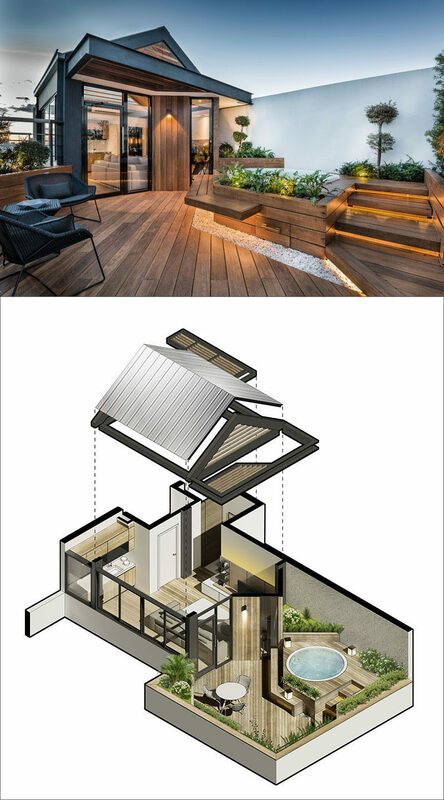 dSPACE designed this rooftop deck for a building in Chicago. Photography by Tony Soluri. 3. 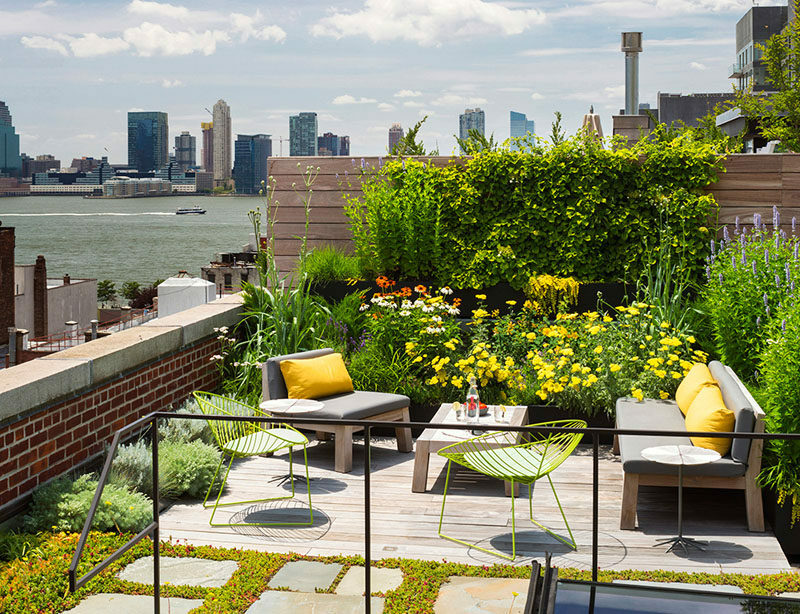 The rooftop of this New York warehouse turned residence has a lush garden filled with flowers and a cozy lounge area that provides an escape from the hustle of city living. Andrew Franz Architect redesigned this New York warehouse into a contemporary home. Photography by Albert Vecerka/Esto. 4. This rooftop entertaining area has all the essentials for hosting a party including ample lounge seating, an outdoor kitchen and dining table located under a pergola, and soft mood lighting. 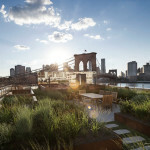 dSPACE Studio designed this rooftop space. Photography by Evan Thomas. 5. 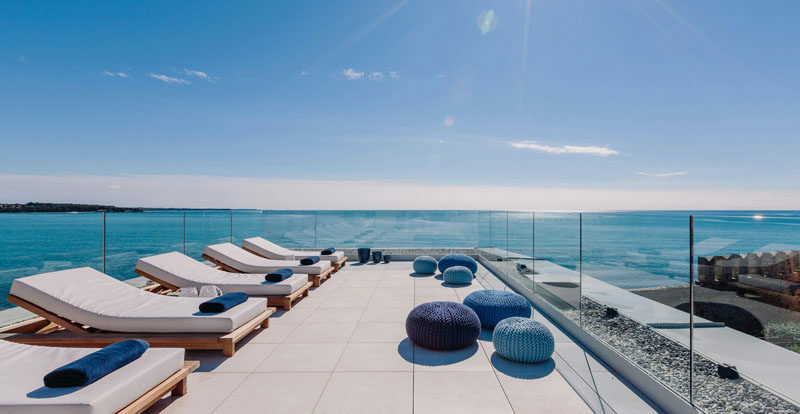 Glass panels surrounding this large rooftop deck filled with daybeds, to ensure that the views are never interrupted and that the sea breeze never gets in the way of rooftop sunbathing. Studio Metrocubo designed this house in Croatia. Photography by Jan Stojkovic. 6. 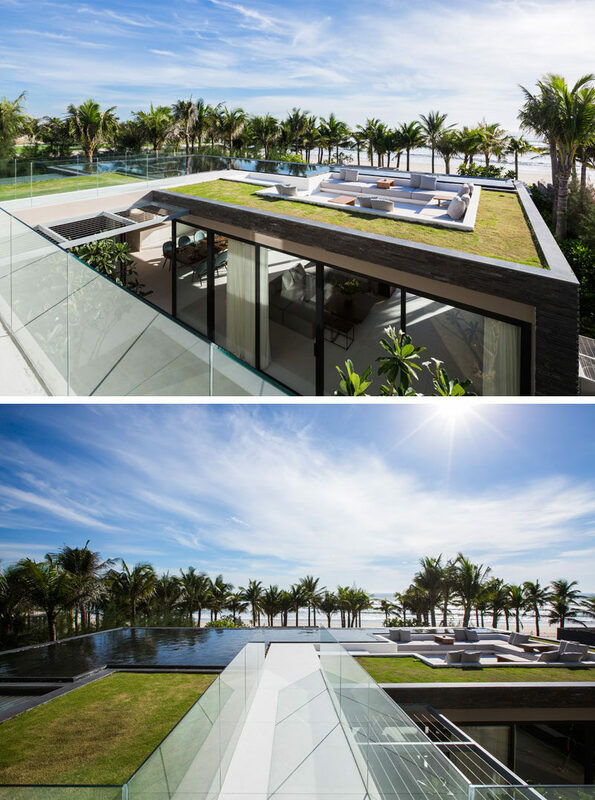 The sunken lounge space on the roof of this beachside villa has built-in couches that warp around the sides, and a water feature and green roof surround the area. MIA Design Studio designed the rooftop of this modern villa in Vietnam. Photography by Hiroyuki Oki. 7. 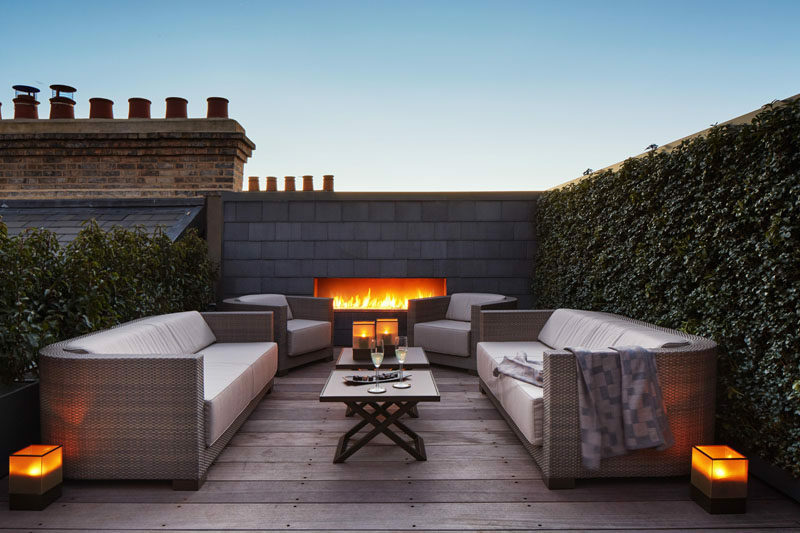 This rooftop combines a built-in fireplace, plant-covered walls, wood flooring, and comfortable outdoor furniture, to create a quiet escape from busy London life. Inspiration from a home that was for sale in London. 8. 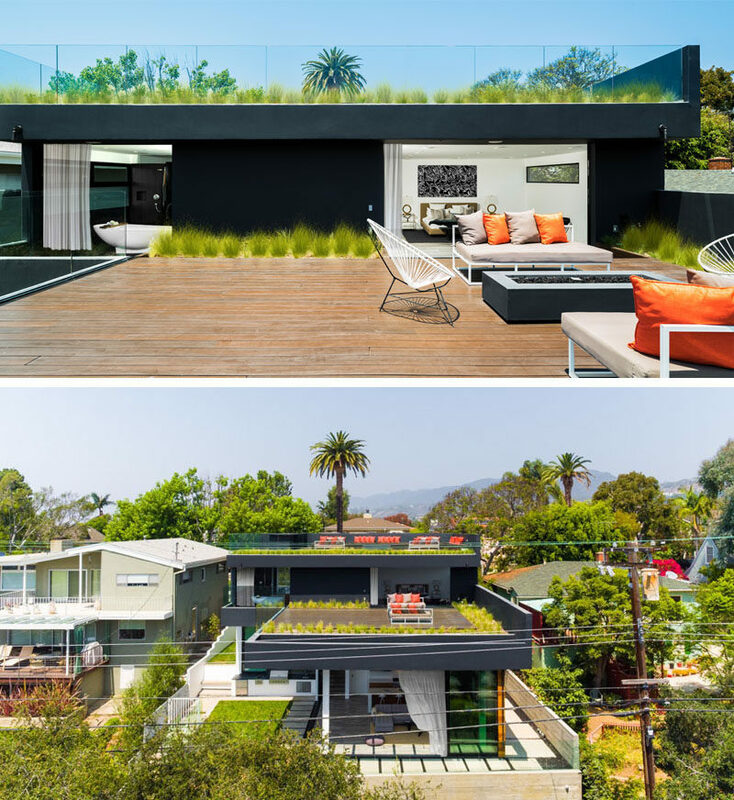 The roof of this family home has been turned into a rooftop garden with multiple levels to provide ample space to entertain and relax. Vo Trong Nghia Architects and ICADA designed this modern house in Vietnam. Photography by Hiroyuki Oki. 9. 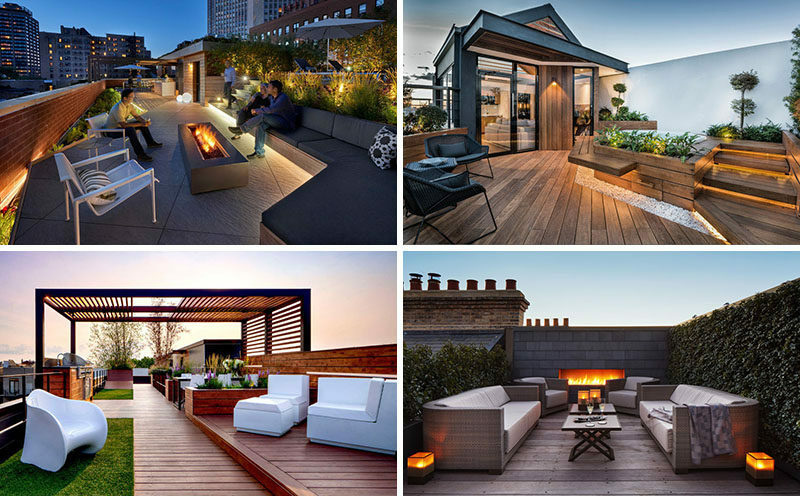 This modern wood rooftop deck features hidden lighting, built-in bench seating, and a spa that’s surrounded by plants to provide some privacy. ANA arquitectura designed this rooftop oasis in the Dominican Republic. Photography by Jesus Rodriguez. 10. This partially covered rooftop deck takes advantage of the city views and is large enough to entertain a group of friends or family. 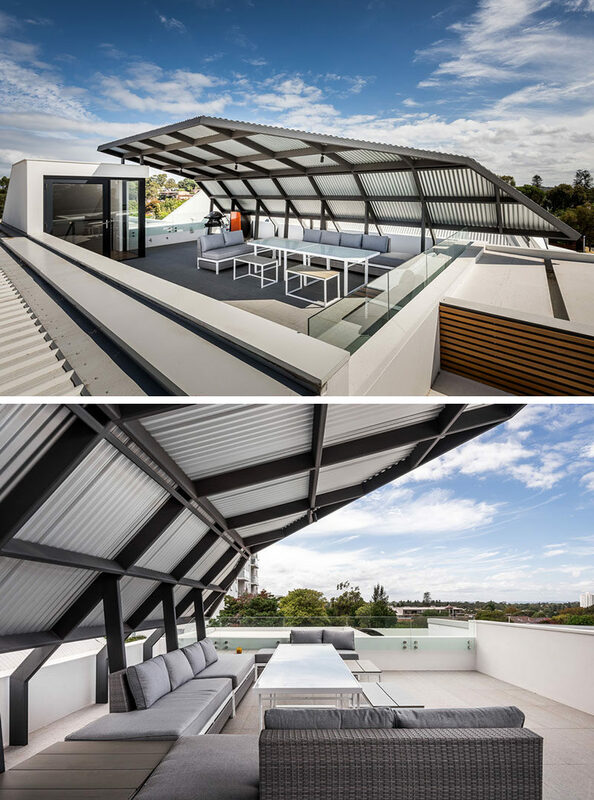 Keen Architecture designed this rooftop entertaining area on a home in Perth, Australia. Photography by Dion Robeson.